Brains – Actually, more of guesswork. pygenere (http://smurfoncrack.com/pygenere/pygenere.php) – For cracking ciphertext using Vigenere cipher. 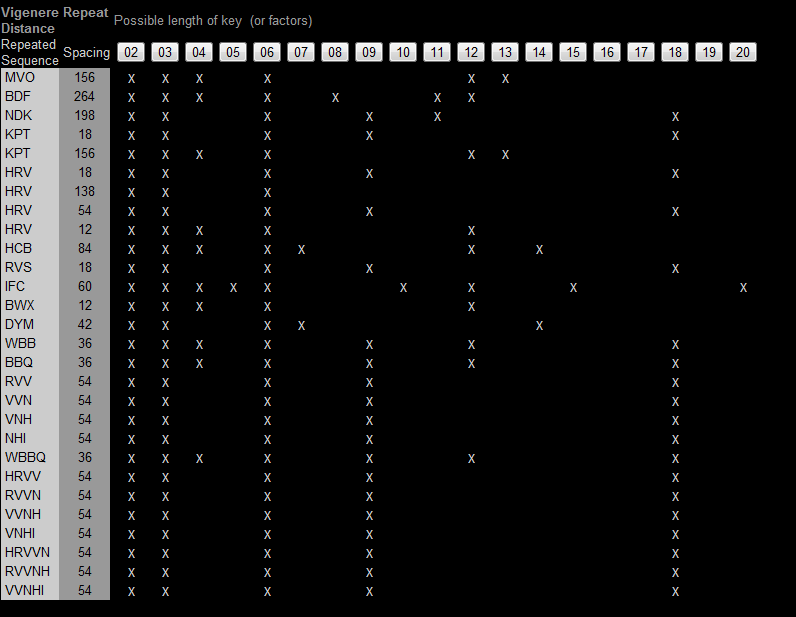 Looking at the given ciphertext, it seems to strongly suggest that it could be a polyalphabetic cipher. 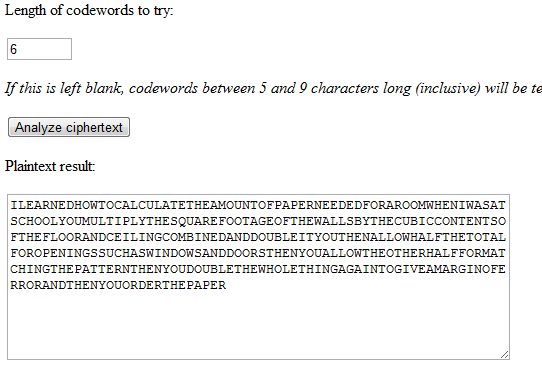 This time round, i made use of http://www.simonsingh.net again to check which cipher it could be using. 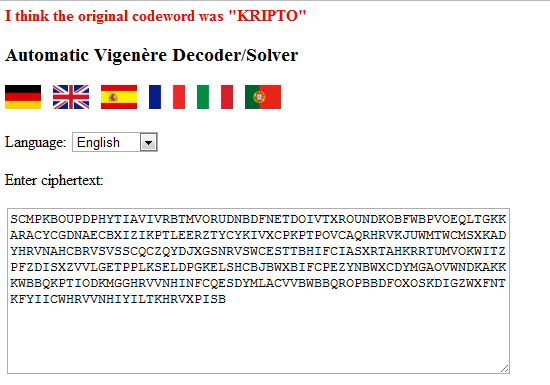 Finally, i tried Vigenere cipher using the following link. It seems to suggest that if the ciphertext is indeed using Vigenere cipher, the possible key length is 2,3 or 6. So using pygenere (http://smurfoncrack.com/pygenere/pygenere.php), i’ve tried entering explicitly 2 followed by 3 and 6 as the keylength. Only keylength, 6, give me back sensible english words like the following picture. On top of the page is the returned keyword that pygenere returned to me. So i’ve tried that as the key and Bingo.